(NaturalNews) Eleven people who may have been exposed to Ebola while working in West Africa have been brought back to the U.S., not to be admitted to high biosafety hospitals for careful monitoring but to be haphazardly housed in hotels and other unprotected places near these hospitals. 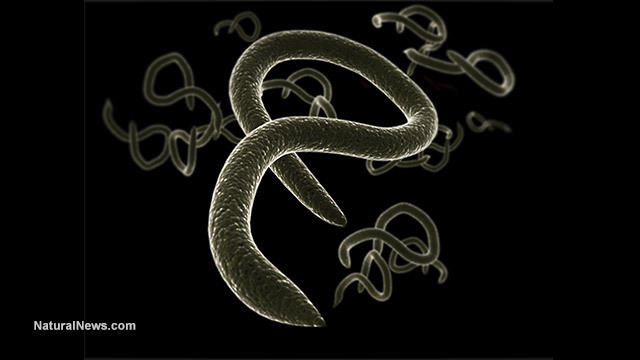 Reports indicate that one of the individuals had "potential exposure to the individual being treated at NIH," referring to the latest U.S. Ebola patient, who is reportedly now in critical condition, currently undergoing treatment at the National Institutes of Health in Bethesda, Maryland. Four individuals who are believed to have had "more exposure than the others" to the NIH Ebola patient will isolate themselves in "housing" located on the campus of the University of Nebraska Medical Center, and the remaining six will be flown into Washington, D.C., and later be shipped out to either either NIH or Atlanta, where Emory University is located. The 11 individuals will all end up near one of the three medical facilities supposedly equipped to handle Ebola patients -- the University of Nebraska Medical Center in Omaha, the National Institutes of Health in Maryland, or Emory University Hospital in Atlanta. But none of them will actually be admitted to any of these hospitals. [T]he Americans coming home will stay at hotels and other housing" near the hospitals, explains The Organic Prepper with dismay, quoting from CNN. "[W]hy... aren't these people being isolated in a health care facility? ELEVEN people in THREE different parts of the country. It's like those in charge are trying to give the disease the best possible chance to spread across the country." The Organic Prepper cites a CNN report that, since its publishing, has been edited to remove the word "hotels" from the locations where these potential Ebola patients will be staying. The report now states "housing," but screenshots of the original reports as republished by NBC and Fox are available here and here. Considering that Texas Health Presbyterian hospital in Dallas, where "patient zero" Thomas Eric Duncan was treated, had to shut down its entire emergency room after just one possible case of Ebola overwhelmed the facility, it seems rather irresponsible for the government to just start placing possible Ebola victims in hotels near large hospitals. If Ebola really is a major threat like the government claims it is, then how can authorities just indiscriminately start checking in possible Ebola victims to hotels located in major metropolitan cities? Self-monitoring and voluntary quarantines aren't enough to protect housekeeping staff and other guests from possibly contracting the disease. More than likely, the Centers for Disease Control and Prevention (CDC) won't be notifying any of these hotels that possible Ebola victims are staying at them. It's a recipe for a real pandemic, that is if the story on Ebola that we're all being told is even true. At least one of the four individuals who was shipped to Nebraska has already developed Ebola symptoms, reports Modern Healthcare. This individual has reportedly been moved to a biocontainment unit at the hospital, with none of the others being monitored having tested positive for Ebola at this time. "After all this time, how were 11 people exposed [to Ebola] at the same time?" asks one commenter at The Organic Prepper. "Although the hotel thing is freaky enough, the fact that they were exposed in the first place really concerns me." "And it's evidence to me that none of them [the healthcare workers] are better trained this time around. We'll never know how they were exposed at the same time, but to me, that's the real story."